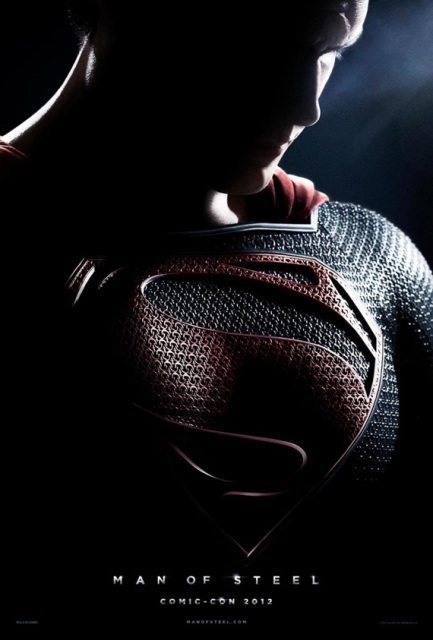 Warner Bros. and DC Comics were desperate to wipe the slate clean after Bryan Singer’s failure to reinvent the franchise with Superman Returns, but the unpopular storyline really didn’t really have anywhere to go, itself having been written into a corner. Cue David S. Goyer and Christopher Nolan, former Dark Knight mantle-holders. Their vision was to reboot the franchise and to make Supes cool again… if that was even possible, in the first place. Man of Steel is the outcome of their efforts. Unfortunately, it retells the superhero’s origin story for the millionth time, but for the first time, the viewer gets a frenzied and frantic peek at the last few days of the planet Krypton (which are superb). Krypton’s core implodes and one family’s hope to save their newborn son also just happens to be an entire planet’s only hope at keeping their race alive. The story is told in back-and-forth flashbacks, between Smallville and the present day. Clark Kent is still a social outcast, just as he was when he was younger, still trying to come to terms with his own humanity (even though he is an alien). On assignment for the Daily Planet, Lois Lane (Amy Adams) immediately discovers Kal-El’s secret identity (not once does Clark Kent attempt to wear a disguise) and practically entices General Zod and his band of misfit Kryptonian outcasts to find him. Having escaped from a penal colony in The Phantom Zone, Zod and his refugees threaten to destroy the planet if Kent doesn’t surrender. More than half-way through the movie, Kent finally becomes Superman for the very first time. The rest of the movie follows their conflict and plays out very nicely. There’s plenty of nonstop action scenes and massive destruction of Metropolis. In fact, the grand finale features two gods duking it out, feeling like a video game. Once concerned for all human life, Kal-El gets a little sidetracked when facing adversity and doesn’t try to move the fight to a less populated area, in order to save the human population. In terms of Zack Snyder’s filmmaking, there’s far too much use of the dizzying handheld cameras (and a few too many lens flares), especially for a superhero film! It’s an injustice to have to endure motion-sickness symptoms, just to watch this movie! I’m sad there’s no John Williams theme song included in this adaption, but I’m incredibly thankful there’s no Lex Luthor in this film, who is way too overused as a character in the Superman franchise. After making $662 million in worldwide box office, the Man of Steel sequel will be made faster than a speeding bullet, featuring Batman (Ben Affleck) and Wonder Woman (Gal Gadot), currently slated to open on July 17, 2015. Batman Vs. Superman’s box office is expected to really go up, up and away! Strength: Lotsa action and some pretty good acting. Weakness: Buy a Steadicam, already Snyder! WTF Moment: I’m not a fan of Amy Adams, so her portrayal of Lois Lane is a sore subject. Was she the only actress in Hollywood available?